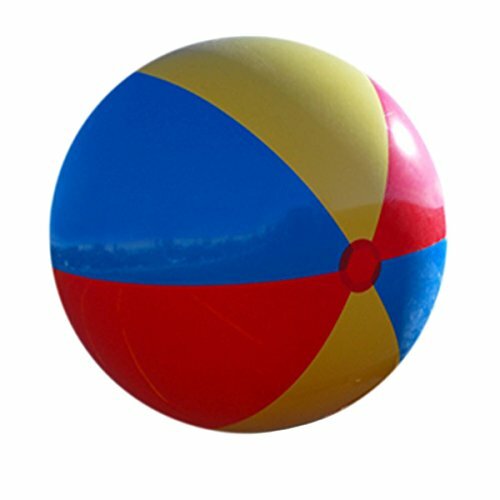 Imagine all the fun you could have playing with this gigantic beach ball. Looks just like the classis 3 color beach ball, but supersized. Inflates from 12' flat to about 9 to 10 feet diameter when fully inflated.